Click here to learn more and register. 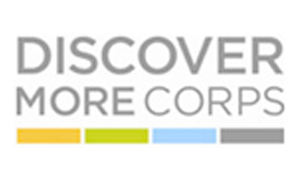 Registration is through the Discover More Corps online community. These webinars are part of ProQuest’s Quantum continuing education program, a free program for current and future librarians and information professionals. Visit the Discover More Corps online community to learn more about the Quantum program, register for new sessions, and view recordings of previous sessions. Consumer-centric organizations know that social media can be used to engage with customers, leading to increased satisfaction and the acquisition of new customers through the power of viral marketing - yet relatively few firms do it well. David Lee King presents a practical guide for any organization that aspires to create direct, deep, rewarding relationships with its patrons and prospects. David demonstrates how Facebook and Twitter can be used to start and sustain conversations and humanize the organization in the eyes of those it seeks to serve. Danielle Salomon, Teaching and Learning Services Librarian and Social Media Manager at UCLA, will discuss how UCLA's Powell Library uses Instagram to connect with undergraduates and engage in teaching and learning. Topics covered include: why an academic library might have more success using Instagram instead of Facebook or Twitter; the user demographics of Instagram; tips for posting; and examples of teaching and learning opportunities. Diane Schrecker, Curriculum Librarian and Instructional Resource Center Manager at Ashland University, will present an overview of Pinterest, the popular online ‘pinboard.’ Topics explored will include how to: integrate existing library information resources to the Pinterest platform, develop original content using Pinstamatic, utilize web tools for creating audio and video content, cultivate boards that may be easily refreshed throughout the year, and present ideas for supporting education course work from a librarian and adjunct instructor’s perspective.